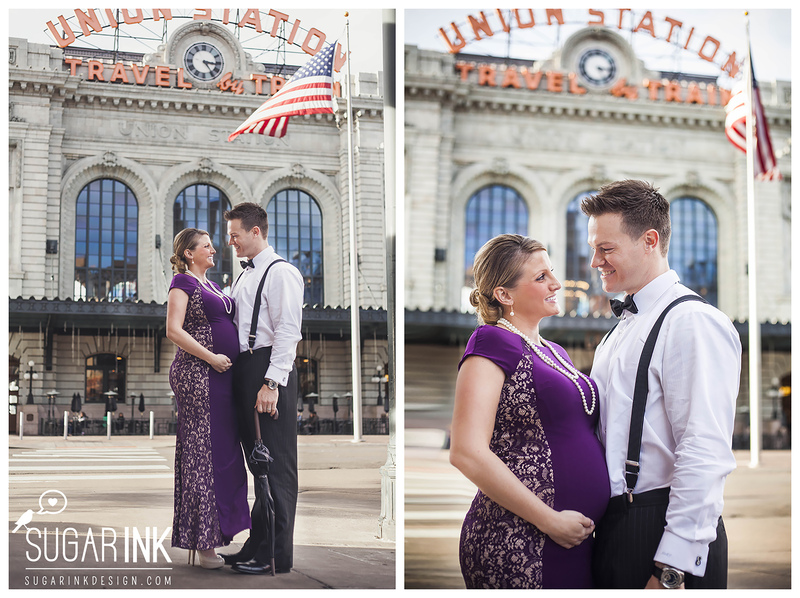 Sugar Ink Design owner Teri and photographer Katelyn took stunning maternity photos of Landon and Kami at Union Station in downtown Denver. Immediately upon their arrival, they were extremely impressed by Landon and Kami’s attire. Never before has a couple gone above and beyond to dress so appropriately for the location of the shoot. Their look was very classy which worked well with the sophisticated vibe of Union Station. 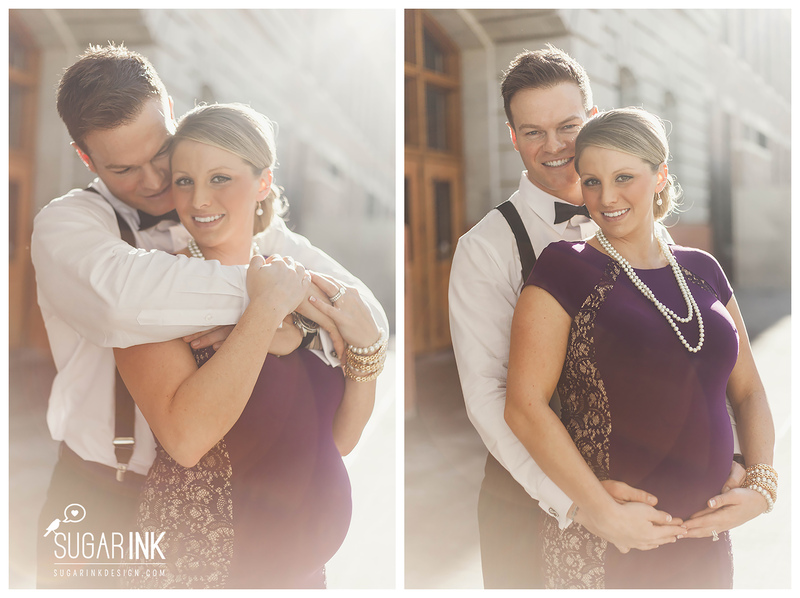 This shoot could not have gone any better; this photogenic couple made amazing shots appear effortless. At the end of the photo session, the photographers could not wait to edit their images and share them with everyone! Kami was 35 weeks along at the time and baby Julius will be due in the next few weeks. Teri and Katelyn are itching to meet him and photograph his newborn announcement photos. We know that their baby will photograph just as well if not better! If you have an upcoming special occasion in life and you need photography with a flare, click here to book our services!